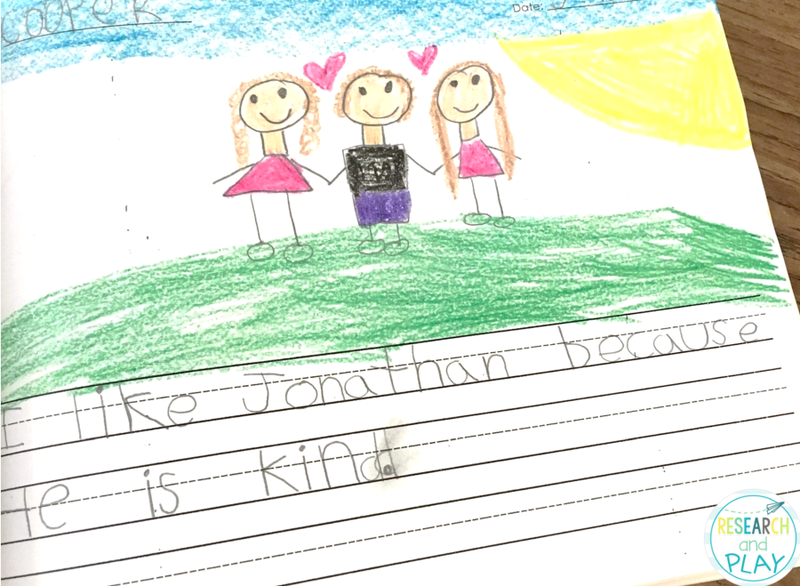 Teaching writing has been one of the most challenging things about teaching kindergarten. Not only do students come in with a variety of skills, including the inability the hold a pencil for some students, but they also need support in so many different ways. Our students have an entire step of writing development that other grade levels don't typically see: pre-writing. We have to navigate our way through the development of pre-writing and early writing skills and make sure we nurture that growth for all students. I've been talking to lots of you who feel the same as I do, so I wanted to compile some of my favorite strategies for taking all of my writers to the next level in their writing. These strategies include some old favorites as well as some things that I've just pulled out of the air that ended up working well! I hope these strategies help you feel more confident in your ability to support your writers, too! W.K.1 - Using a combo of writing, dictating, and drawing to compose opinion pieces in which they tell a reader the topic or name of a book they are writing about and state an opinion or preference about the topic or book. W.K.2 - Using a combo of writing, dictating, and drawing to compose informative/explanatory texts in which they name what they are writing about and supply some information about the topic. W.K.3 - Using a combo of writing, dictating, and drawing to narrate a single event or several loosely-linked events, tell about the events in the order they occurred, and provide a reaction to what happened. As you can see, the standards support the use of drawing, writing, and dictating in composing pieces. They also provide kindergartners with exposure to various types of writing. However, not much is said for working on writing complete sentences, using sight words to build those sentences, and supporting the development of those sentences. Not much direction or structure is given for teachers to get their students to writing those opinion, explanatory, and narrative pieces. While I want my students to be able to write across genres and content areas, I first must make sure they understand what writing is. I explain that in math, word study, reading, writer's workshop, or science time, writing is how we can share our ideas when we aren't able to tell with our words. I always model this idea using pictures FIRST before adding a single letter to the page. Display these posters to help encourage your students as they begin to write. Giving them topics to choose from eases their worry of what to write about! 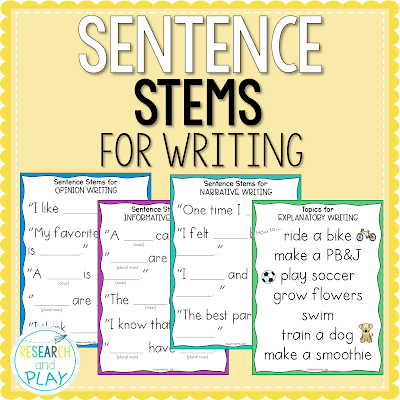 Included in my Sentence Stems for Writing resource! I always begin a writing session with a mini lesson. While I do use the Lucy Calkin's Writer's Workshop Units of Study, I feel compelled to add a little more structure after we finish the first month or so. At first, we write to build stamina. Then, we write to build excitement. Next, we start writing to build structure and actually begin to tell stories with words. You can click HERE to read an older post about my writer's workshop part of my day. I think October is a great time in kindergarten to START having students add words to each page of their writing. Up until then, I ask them to write a "story" (always a story, never a one-page writing prompt) using pictures. I give them the option to add letters to their pages in the form of labeling the first sound (which comes with the ever-popular "Label Your Teacher" with post-its mini lesson) and even encourage them to sound out any words that they think would help tell the story using "stretchy snake" (stretching out the word and writing all the sounds they hear, also taught during a mini lesson). This is end of year kindergarten writing. Using a complete sentence, correct spelling of sight words, and a very detailed picture! This is what we're working towards. The main reason why I have students write stories instead of one-page writing prompts during our writer's workshop time is so they can continue working on a piece multiple days in a row. I want my students to get used to revisiting work, revising, adding more, and making sure their story has a sequence. Eventually, they'll start working with a writing partner. This will be effective if they actually have a larger piece of writing to look at that has a sequence. Published stories don't usually come on one page, so I'm asking my budding authors to write a multi-page story! One of my favorite things to do to end a writing session is a share out. I think share outs in all content areas are extremely powerful for showcasing students' strategies, building their confidence, giving them a chance to question one another, and to reinforce your mini lesson. My goal for writing by the time my students leave kindergarten is that they are able to use a combination of words and pictures to tell complete thoughts and convey a complete message. However, I'm very aware that even well into kindergarten (as we are currently in the middle of March), some students still are not ready to independently add words to convey complete thoughts. I have some strategies for that. Sentence stems are your best friend for so many reasons. I use them in every single content area, but especially in math (Number Talk Sentence Stems) and in writing. I want to make sure my students start developing the concept of a sentence rather than labeling individual words. Sentence stems are the best tool for this that I've come across. I don't always model writing during my mini lesson, but when I do, this is when I'll use a particular sentence stem myself. When I'm not writing, though, I simply write the sentence stem I want them to use on our boards. I've created a resource that has some great sentence stems for each kindergarten writing topic: opinion, informative, explanatory, and narrative. Included are both color as well as black and white posters you can hang in your room to support your students. Also included, possible topics for each of the writing standards! If you have any students who struggle with coming up with ideas and getting started, this resource is for you. Click below! This strategy is harder to implement, especially if you're alone without an aide or volunteer, but it's so meaningful. Students who are not yet writing words still need to hear and see their story come alive through writing. Having students dictate their writing to you while they watch you write it directly on their page is one of my favorite strategies. When I'm transcribing, I tell my other students I'm off-limits for help so that I can focus on the students who need my support. Here's a tip: If you're walking around transcribing, wear a hat! It tells the rest of your class you're off limits. I own a large wizard hat from Amazon that it easily seen from around the room. When students see me with the hat, they don't come talk to me! 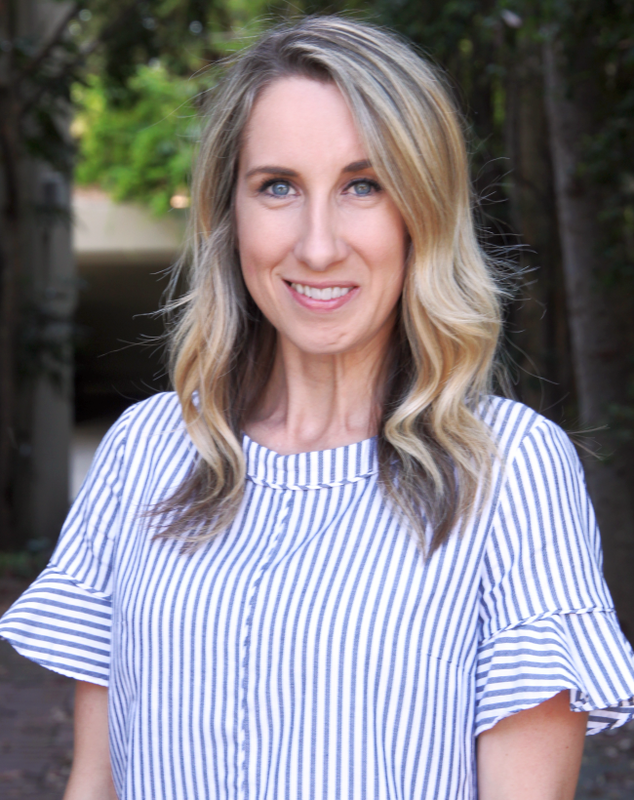 You can also have the students who need to dictate meet you in a special spot in the classroom (at your teacher table, in the reading area, etc.). When you're in that special meeting spot, other students will learn not to disturb you. Establishing writing partners is beneficial for many reasons. It allows students to collaborate and discuss their writing. It gives each student a voice. It takes pressure off of having to read in front of the class or to the teacher each day (if you do share-outs at the end of your writing time, which you should!). And it gives you the ability to let the students take charge while you turn your voice off. Writing partners work best when they are students who have different but similar writing abilities. For example, if a student is not yet writing words, they would work well with a partner who is using sentence stems to begin adding words. Students who are successfully using sentence stems would work well with partners who no longer need stems to support their writing. This method works well because the ability levels are similar enough that one partner does not feel self-conscious about their skills while the other partner does not need to provide a ton of assistance and can still get something from the partnership. Here's a tip: Be flexible! 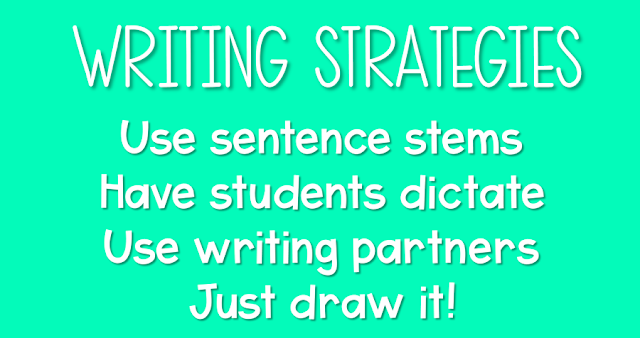 Allow your writing partners to move seats or meet on the floor, writing with clipboards. Have your partners in close proximity to each other, and set up the routine of moving near your partner at the very beginning of your work time. You can use a song for the transition, and by the time the song goes off, your partners are next to each other ready to write! You know those students that, no matter what strategy you try, they just WON'T write? Even if you know they can, they have the skills, they're so bright with so many ideas, but they just won't do it! I've been there. And while I can say that the happy ending of that story was that my writer eventually wrote many great books with plenty of words, it was a long process to get him there. You'll know a reluctant writer when you realize that for the 10 minutes you've been transcribing and meeting with partners, this writer has done nothing beyond write his or her name and look out the window. Maybe they have scribbled a little bit of a picture, but likely their page is still empty. Sometimes they may lay their heads down, sometimes they may start conversations with their writing partners about Minecraft. Whatever they may do, writing is not happening and there is no growth. I encourage these writers to JUST DRAW. They're allowed to start with drawing things they like. It can be totally off-topic and have nothing to do with the mini lesson. 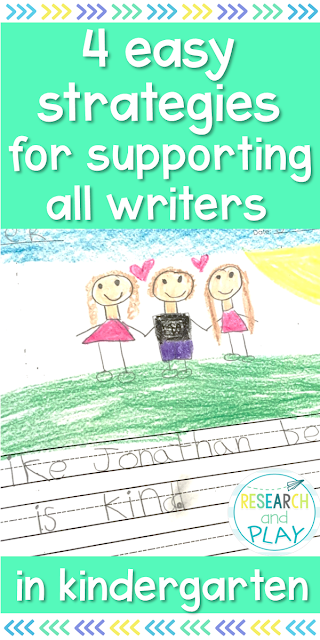 In the same way we want to build a love for reading by letting students be surrounded with fun and interesting picture books, we should allow students to grow their love for writing by writing (drawing) about anything they like! This usually starts with a conversation with me about their interests. I ask them about favorite movies, games, sports, foods, you name it. I even make a list of all the favorites that he or she tells me. This is a great reference for me to continue to support the writer, but it's also great for the writer to see that there are plenty of things to write about! Use the topics posters to help push them in a direction! You need to support their thought process, but sometimes they might just need a list to choose from. Don't push coloring. I've learned that many of my reluctant writers are not ready to add colors. To grow their confidence, we call their drawings "sketches." They love to feel like they are doing something special that no one else is doing. I love to show their sketches a couple of times a week at our end-of-writing share outs. Eventually, you can ask them to add a few colors, but in the beginning just request a picture. Eventually, you will want to see words on a page. Start with that original strategy of sentence stems and go from there. Like I said, it may not be on topic or match your mini lesson, but that's okay for a little while. Once your writer is using stems, then give them a partner. You may want to coach the partners first, reminding them that their partner will use less words or words that may not be spelled very clearly. Coach them that that is okay! Remember, progress with a reluctant writer (or reader for that matter) will look different from the rest of your eager writers. Celebrate the small victories and build, build, build their confidence. I hope that these strategies and tips help you feel a little less stressed about teaching writing in kindergarten. It's one of the most complex things we do as K teachers, but these strategies have helped me manage it much better. I'm still continuing to grow as a writing teacher, so if you have any strategies that you love, head over to Facebook and leave them on this thread!